When 2 (or more) terminals, which belong to the same terminal strip, are connected to the same equipotential, a graphic indication showing this status in the terminal strip drawings is shown. In elecworks™ 2018 “Automatic bridge” is an option in the terminal strip, which can be managed from the terminal strip manager. This option allows drawing an automatic bridge between the terminal blocks which are belonging to the same terminal strip and connecting to the same equipotential. They will also be bridged if the terminals have the same equipotential mark, even if the terminals are not connected. How does this tip help? 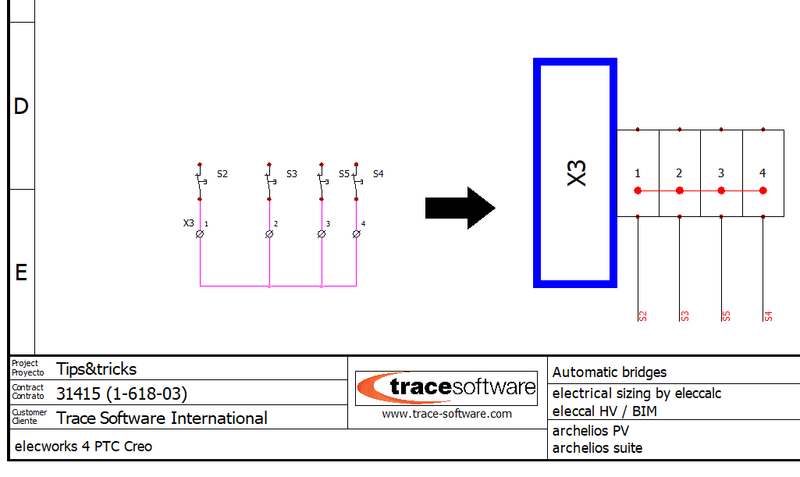 This option helps saving time during the project design process as bridges in the terminal strip drawings are always updated according to the schematics drawings. 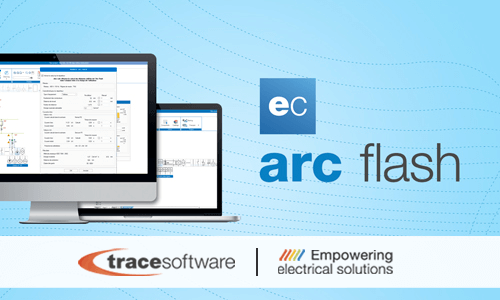 Trace Software International announces that the elec calc™ Arc Flash module has been just released. The company possesses a unique passion for the design of high-performance software solutions for electrical engineering since 1987. Arc flash typically occurs when the electrical insulation or isolation between live conductors is severed or can no longer withstand the applied voltage. Near the high power electrical equipment, the short-circuit power available is high and consequently so is the energy associated with the electrical arc in case of a fault. In some countries, particularly in North America, these risks are better taken into account for human, material and financial aspects, and regulations are much more stringent in this area. The arc flash module provides the professionals of the electrical industry with a fundamental tool in the sector, as the user will be able to develop its safety analysis in the vicinity of switchboards and panels. By design, elec calc™ has almost all the data allowing the calculation of the figures of the arc flash, from which the user will be able to elaborate his security analysis near the tables and boxes. From the operating modes described in a project, elec calc™ determines the maximum and minimum three-phase short-circuit currents that can occur on a distributor. It calculates the corresponding cut-off times of the concerned protective devices. Specific data of the equipment can be completed or modified by the user through a simple interface. elec calc™ allows the edition of the labels to be affixed on the concerned equipment or the export of the corresponding results to make possible the customization of the labels. The format of the label is consistent with the recommendations of the document NFPA 70E (edition 2018). In addition, elec calc™ monitors the evolutions of the installation and prevents the obsolescence of previously published labels. More than 2,500 exhibitors and 160,000 visitors are expected today at the twentieth edition of CIIF, the leading event in the field of manufacturing in China. 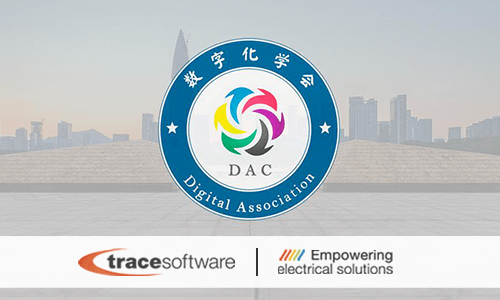 Trace Software International, with a unique passion in the design of software solutions for industrial engineering since 1987, confirms its participation in the event, which will be held from September 19 to 23 at the National Exhibition and Convention Center in Shanghai. Since its launch in 1999, CIIF has become one of the most influential international trade fairs in China, a catalyst for local and international industry opportunities. The manufacturing sector in China has enough resources, quality infrastructures, continuous and systematic support from the government in the field of technological research and a lively business environment. The event is made up of distinct themes, each of which corresponds to a distinct show: The New Material Industry, Aerospace and Aviation Technology, Scientific & Technological Innovation, Robotics, New Energy, Energy, Information & Communication Technology, Environmental Protection Technology & Equipment, Industrial Automation Show, Metalworking and CNC Machine Tool. 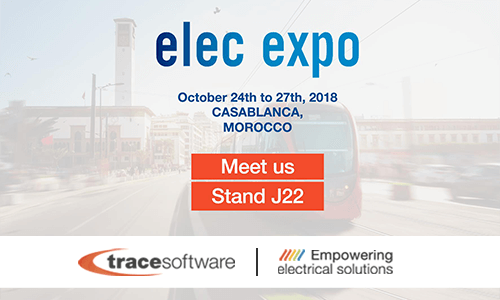 Trace Software International will take part in the Energy Show, the platform that focuses on the use of new green technologies to foster a more sustainable type of economy. 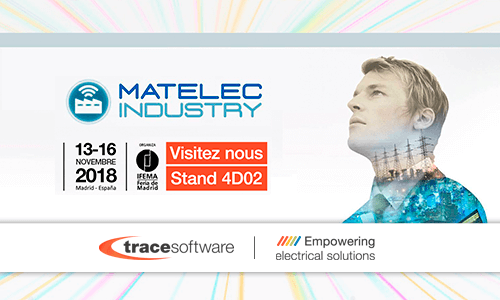 At booth 4.1H-F142, the company will showcase software solutions that allow industry professionals to improve their competitive position in the market by boosting the performance of engineering projects. elecworks™ is the electrical drawing software for automation projects and electrical installations. It provides all the features necessary for the best design process for power and control schemes, cross-references, PLCs, terminals, panels, reports, etc. 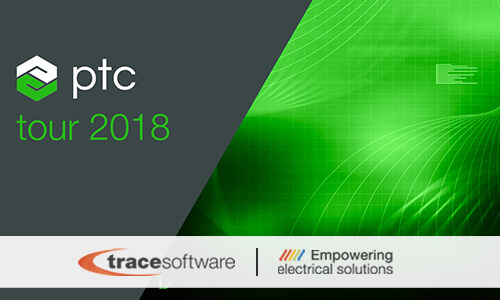 elecworks™ for PTC® Creo® ensures the seamless integration of the schematic electrical design from elecworks™ to the PTC® Creo® for a 3D design. 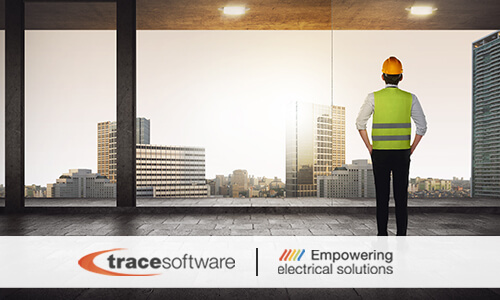 elec calc™ is the CAE software solution dedicated to the sizing of electrical installations, the only one in the world that allows the integration of high and low voltage management in the same project. elec calc™ BIM is the first software in the world that seamlessly integrates the electrical calculation into the BIM process. With elec calc ™ BIM, the user can design, calculate and size the electrical installation in the digital model in IFC 4 format, generated by any 3D architecture software (Revit, ArchiCAD, SketchUp …). archelios™ Pro is a software solution designed for professionals in the photovoltaic industry to design, modify and share projects of maximum precision, from the roof to the huge ground installation. It is an essential solution to manage any photovoltaic project entirely and for all types of photovoltaic installations. In a few days, The Digital Chemistry Society also called the 2nd Black Technology Festival, will be celebrated in China, at the Shenzhen Huawei Base Zone J. The event is a catalyst that brings together all the companies of the high-tech sector professionally involved in the digital transformation of the world. On the day of the exhibition, September 15th, more than 40 leading companies will present the innovative products and services which are shaping the future. The most important issues addressed will be those of intelligent cities, virtual reality devices, augmented reality, artificial intelligence, cloud services and the latest generation of software. Amongst the exhibitors, there are names such as Dassault, Huawei, and Accenture. 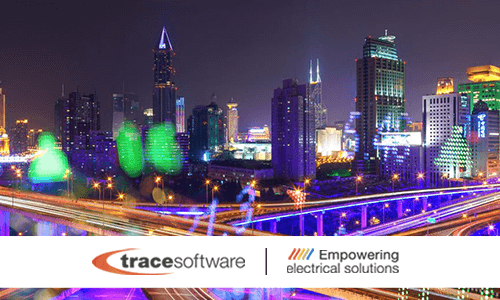 Trace Software International, which has been supplying cutting-edge software solutions to engineering professionals since 1987, also confirms its participation in this unique experience. In this journey through knowledge, learning, and sharing of the best practices solely devoted to the pursuit of innovation through technology, the company will present its compelling software solutions. Thanks to its most advanced technical-scientific knowledge and to the continuous investments in innovation, the software solutions of Trace Software International optimize the engineering processes in terms of quality, time and performance while ensuring a better overall planning of the procedures. 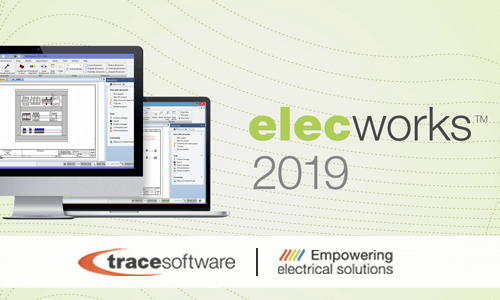 elecworks™ is the new generation CAD software for the design of automation projects and electrical systems. It has been designed to be an easy-to-use, intuitive and powerful tool with innovative features that allow the customization of documentation and the exchange of information with other company departments. Try it here. 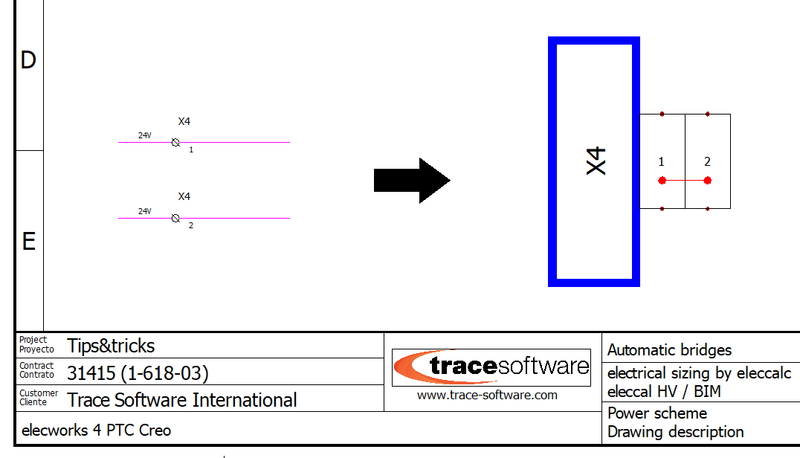 elecworks™ for PTC® Creo® allows to easily integrate the elecworks™ wiring diagram into the PTC® Creo® design. Designers can place 3D views of all electrical parts in their model and make 3D cable, wire and harness connections between all electrical components. Try it here. The Black Technology Festival creates a scenario that offers the talents an exceptional channel for the exposure of innovation and, to the expected 1000 visitors, an overwhelming space where it is possible to experience the technologies of a not so far future.